The reserve is located in the Limpopo Province of South Africa, in the heart of the Soutpansberg Mountains. Most guests generally fly into Polokwane International Airport in Polokwane city. Polokwane city is located 300 kilometers north of Johannesburg. We personally assist guests with their rifles and collect them from the airport. 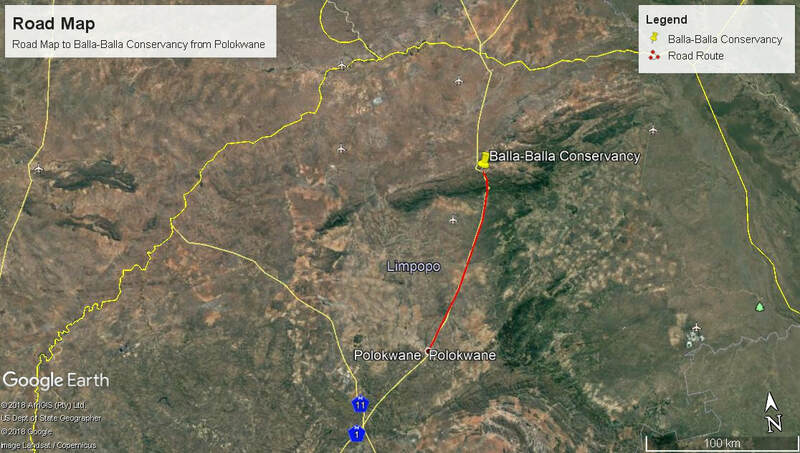 Balla-Balla Conservancy is just over an hour's drive from Polokwane city. Following the N1 tar road north from Polokwane towards Zimbabwe, past through Louis Trichardt town and turning off at Hendrik Verwoerd tunnels around 25 kilometers passed Louis Trichardt.